I am shocked, I am incapable of grasping it. I see how the black serpent writhes up the tree, and hides in the branches. Everything becomes gloomy and doubtful. Elijah rises, I follow and we go silently back through the hall. Doubt tears me apart. It is all so unreal and yet a part of my longing remains behind. Will I come again? Salome loves me, do I love her? I hear wild music, a tambourine, a sultry moonlit night, the bloody-staring head of the holy one-fear seizes me. I rush out. I am surrounded by the dark night. It is pitch black all around me. Who murdered the hero? Is this why Salome loves me? Do I love her, and did I therefore murder the hero? She is one with the prophet, one with John, but also one with me? Woe, was she the hand of the God? I do not love her, I fear her. Then the spirit of the depths spoke to me and said: “Therein you acknowledge her divine power.” Must I love Salome? like air and thin smoke, and you are raw matter that is disturbingly heavy. But let your hope, which is your highest good and highest ability, lead the way and serve you as a guide in the world of darkness) since it is of like substance with the forms of that world. The scene of the mystery play is a deep place like the crater of a volcano. My deep interior is a volcano, that pushes out the fiery molten mass of the unformed and the undifferentiated. Thus my interior gives birth to the children of chaos, of the primordial mother. He who enters the crater also becomes chaotic matter, he melts. The formed in him dissolves and binds itself anew with the children of chaos, the powers of darkness, the ruling and the seducing, the compelling and the alluring, the divine and the devilish. These powers stretch beyond my certainties and limits on all sides, and connect me with all forms and with all distant beings and things, through which inner tidings of their being and their character develop in me. Because I have fallen into the source of chaos, into the primordial beginning, I myself become smelted anew in the connection with the primordial beginning, which at the same time is what has been and what is becoming. At first I come to the primordial beginning in myself But because I am a part of the matter and formation of the world, I also come into the primordial beginning of the world in the first place. I have certainly participated in life as someone formed and determined, but only through my formed and determined consciousness and through this in a formed and determined piece of the whole world, but not in the unformed and undetermined aspects of the world that likewise are given to me. Yet it is given only to my depths, not to my surface, which is a formed and determined consciousness. difference in essence between the two principles in me. If I look across from forethinking to pleasure, I first see the deterrent poisonous serpent. If I feel from pleasure across to forethinking, likewise I feel first the cold cruel serpent. base the world on thought, those who feel, on feeling. You find truth and error in both. The way of life writhes like the serpent from right to left and from left to right, from thinking to pleasure and from pleasure to thinking. Thus the serpent is an adversary and a symbol of enmity, but also a wise bridge that connects right and left through longing, much needed by our life. The place where Elijah and Salome live together is a dark space and a bright one. The dark space is the space of forethinking. It is dark so he who lives there requires vision. This space is limited, so fore thinking does not lead into the extended distance, but into the depth of the past and the future. The crystal is the formed thought that reflects what is to come in what has gone before. he lives on the foundation of fore thinking. The visible surface is safer than the underground. Thinking protects against the way of error, and therefore it leads to petrification. 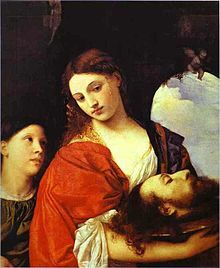 A thinker should fear Salome, since she wants his head, especially if he is a holy man. A thinker cannot be a holy person, otherwise he loses his head. It does not help to hide oneself in thought. There the solidification overtakes you. You must turn back to motherly forethought to obtain renewal. But forethought leads to Salome. The thinker’s passions are bad, therefore he has no pleasure. The thoughts of one who feels are bad, therefore he has no thoughts. He who prefers to think than to feel, leaves his feelings to rot ,in darkness. It does not grow ripe, but in moldiness produces sick tendrils that do not reach the light. He who prefers to feel than to think leaves his thinking in darkness, where it spins its nets in gloomy places, desolate webs in which mosquitos and gnats become enmeshed. The thinker feels the disgust of feeling, since :the feeling in him is mainly disgusting. The one who feels thinks the disgust of thinking, since the thinking in him is mainly disgusting. So the serpent lies between the thinker and the one who feels. They are each other’s poison and healing. In the garden it had to become apparent to me that I loved Salome. This recognition struck me, since I had not thought it. What a thinker does not think he believes does not exist, and what one who feels does not feel he believes does not exist. You begin to have a presentiment of the whole when you embrace your opposite principle, since the whole belongs to both principles, which grow from one root. 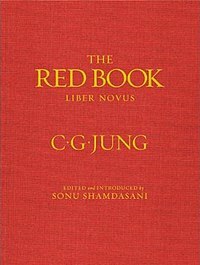 Previous Previous post: Carl Jung: My anima constantly repeats the saying: Magna est vis veritatis et praevalebit [The power of truth is great and will prevail]. Next Next post: Carl Jung on the value of Dogma.